In 2002, Fujitsu launched an update to its Flashwave line with the 4300 platform that was designed to expand the brand’s capabilities for optimizing bandwidth efficiency and aiming to boost your profitability in delivering metro access networks. The Fujitsu Flashwave 4300 is a multiservice optical transport platform built for leading converged IOF networks, so you can operate across multiple protocols with the products that best suit your needs. Avoid issues leading to poor port density and support leading high-capacity applications while Worldwide Supply helps you maximize lower-cost applications through used and refurbished Fujitsu Flashwave 4300 options. Support carrier-class SONET, Ethernet, M13 multiplexing and a variety of data switching services thanks to the flexibility in the Fujitsu Flashwave 4300 platform. Advanced support options include the ability to expand network capacity and integrated testing options as well as transmux for true digital cross-connect switch capabilities. 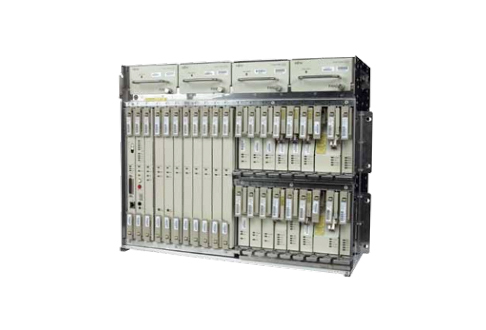 Worldwide Supply has a variety of used Fujitsu Flashwave 4300s that have been refurbished to meet OEM standards for reliability and service, allowing them to manage and support your 10/100BaseT and Gigabit Ethernet service interface modules to enable new services and improve traffic aggregation and grooming. Working with us ensures you get a reliable used Fujitsu Flashwave 4300 that has been tested in real-world scenarios to maximize performance and guarantee success thanks to an industry-leading warranty.